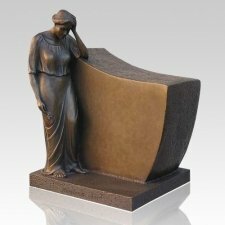 When you've lost a loved one, it can take years to feel like you have your feet on solid ground again. 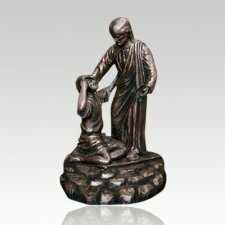 Even then, the pain is only lessened. 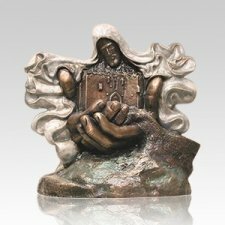 Death cannot stop that strong bond you share with your beloved companion, friend, spouse, sister, daughter, father, mother or other loved one. 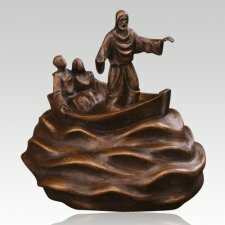 We understand how enduring loss is. 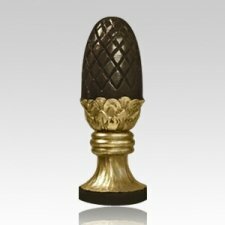 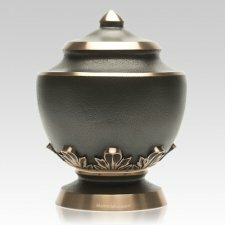 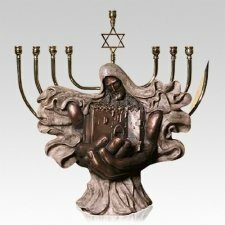 That is why at Memorials.com, we have brought together a line of exquisite, solid cast bronze urns. 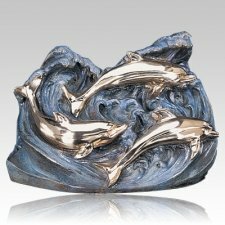 Bronze has been used throughout many civilizations because of its durable and enduring qualities. 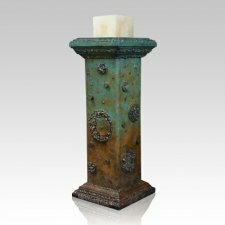 And as time passes, it only becomes more beautiful as it develops a much-desired patina. 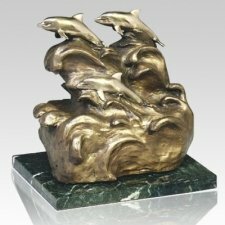 Bronze can also be cast into many intricate designs, which makes it the perfect material for a large variety of statuette-style masterpiece urns. 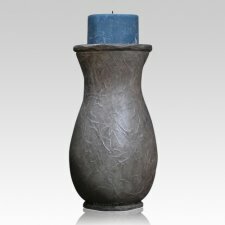 When you keep the remains of your loved one in a bronze cremation urn, you can know their memory and legacy will continue on. 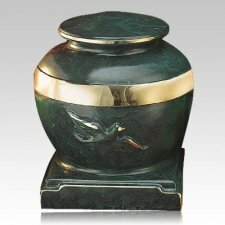 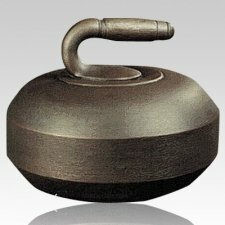 As you browse through our vast array of bronze cremation containers and urns, you are sure to find the perfect one. 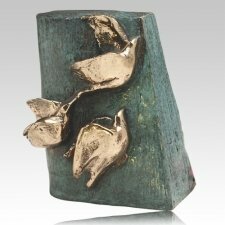 Our stunning bronze ash urns come in solid cast bronze and sheet bronze. 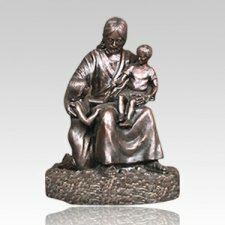 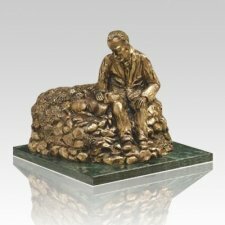 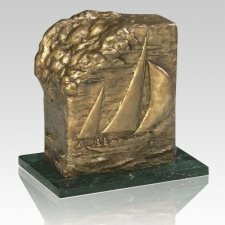 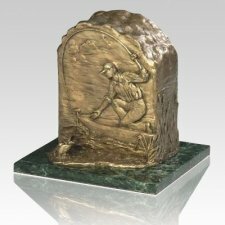 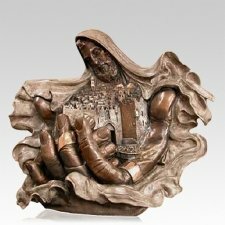 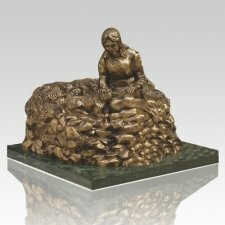 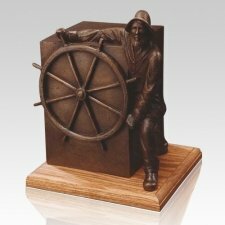 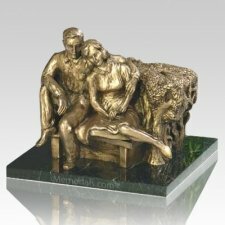 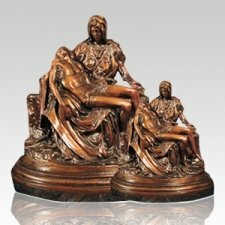 Cast bronze can be made into statues, figures, boxes and other interesting designs that are hollowed out to receive the ashes of your loved one. 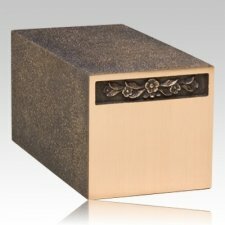 Our sheet bronze urns are box or chest shaped (rectangular) urns that are assembled together with flat sheets of bronze metal. 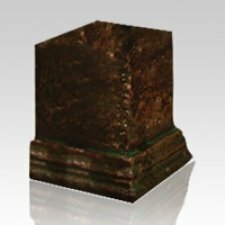 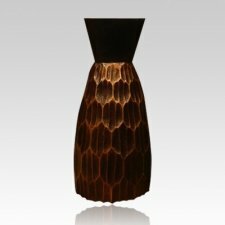 These bronze sheet urns can provide all the beauty of bronze at a more affordable price. 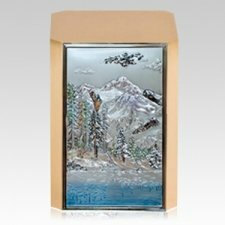 Scenes, images and messages can be etched into the sides of the box, or there may be various items of decor added onto the box for additional style. 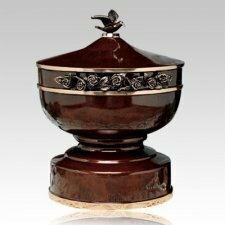 When choosing a bronze ash urn for the remains of your loved one, consider the size of the urn you need. 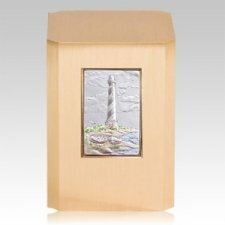 We offer bronze keepsake urns that can hold a token amount of the ashes of your loved one. 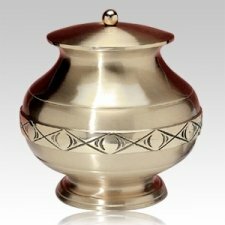 Our medium size urns can hold the ashes of one person. 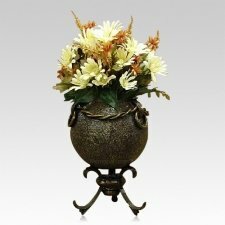 And our large or companion sized urns can hold the remains of two adults. 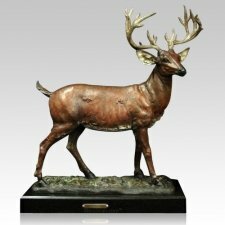 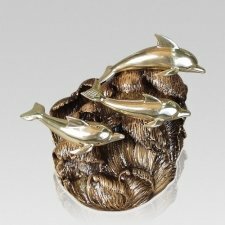 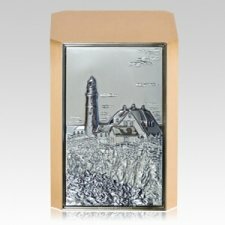 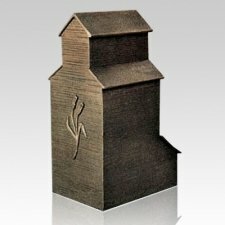 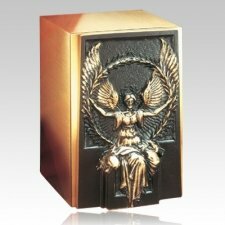 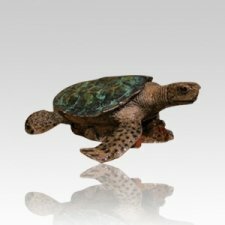 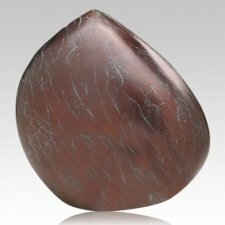 We also offer our beautiful bronze cremation urns in many unique and stunning styles so that you can find one that will fit the personality of your deceased loved one. 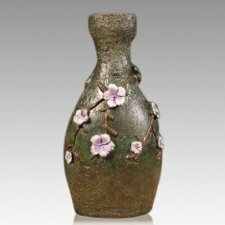 Read through the list below to discover an urn that might be the perfect choice for you. 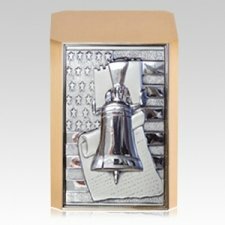 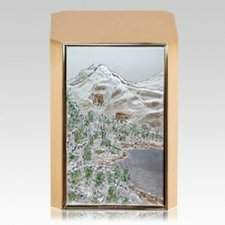 We offer bronze sheet urns with photo-etchings of your deceased loved one. 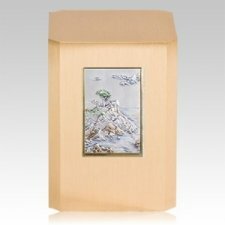 Every time you look at the container, you will see your loved one smiling back at you. 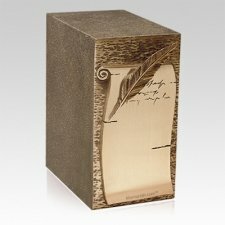 Bronze photo urns are a great way to memorialize your special person. 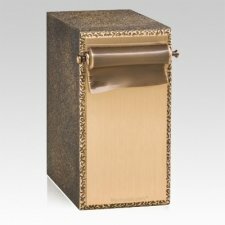 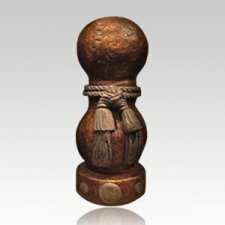 Our bronze Consolation cremation urn is a traditional style urn wrapped in bows. 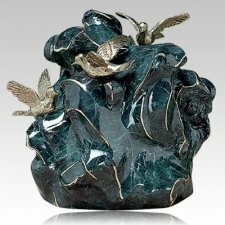 It is a lovely way to store the ashes of your beloved one. 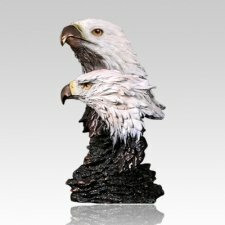 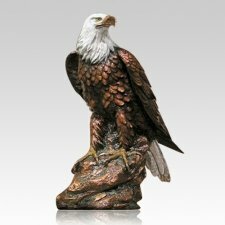 This stunning masterpiece is a bronze cast urn that depicts sheer mountain cliffs with an eagle soaring in the heights. 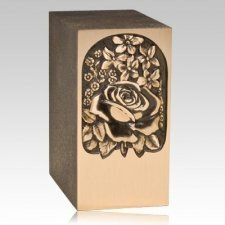 The cast bronze Petites Roses cremation urn is one our most expensive urns. 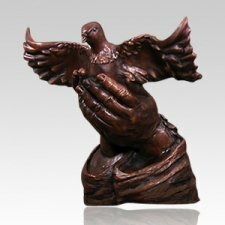 It would make a lovely tribute to your loved one. 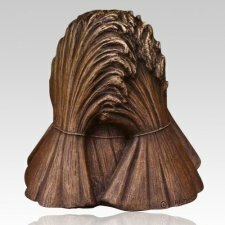 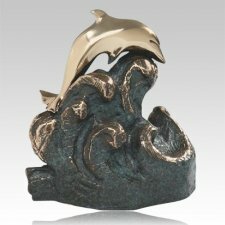 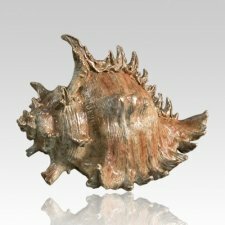 Our cast bronze Seashell conch urn is skillfully crafted using a "lost-wax" bronze casting technique. 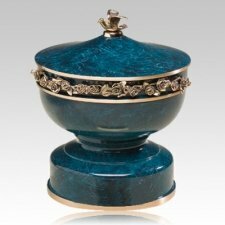 This urn is perfect for the beach lover and collector of shells. 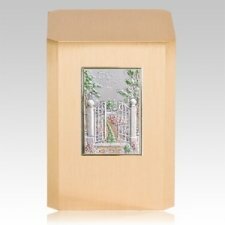 It will dazzle guests and keep the legacy of your loved one alive when they realize the treasure that is inside. 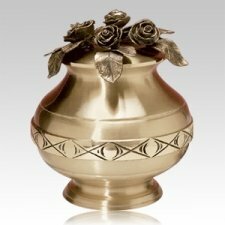 With our lovely urn offerings in solid cast bronze urns and sheet bronze urns, you are sure to find a vessel that is a fitting place to store the ashes of your loved one. 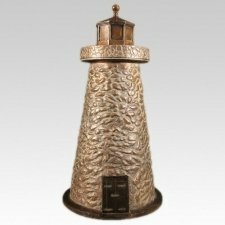 Thank you for letting Memorials.com help you on your journey. 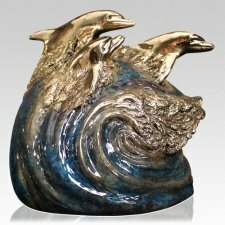 Would you like to learn more about our bronze cremation urns? 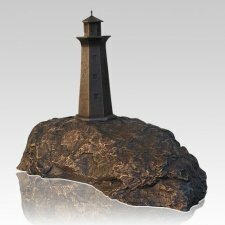 Read our article to find out more.